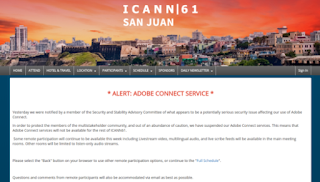 Domain Mondo's weekly internet domain news review (NR 2018-03-11) with analysis and opinion: Features • 1) ICANN61, March 10-15, San Juan, Puerto Rico, 2)Other ICANN news a. .WEB & Afilias, b. ICANN's FY19 Budget, Reserve Fund, Extortion Racket & Consumer Fraud, and more, 3) Names, Domains & Trademarks, 4) ICYMI Internet Domain News: Censorship, Privacy, 5) Most Read. Governmental Advisory Committee (GAC) Advice Consideration Process (pdf) [GAC HANDBOOK English_FEB2018]. Report to the ICANN & UASG (Universal Acceptance Steering Group) Community on Recent Activities (pdf). FCC proposes nearly $1 billion toward recovery efforts in Puerto Rico, Virgin Islands | TheHill.com Mar 6, 2018: "The proposal would allocate $64 million immediately to efforts to restore the existing networks in the territories. The rest of the $954 million would go toward medium- and long-term projects to expand mobile and fixed broadband networks." a. New gTLD .WEB: Afilias vs ICANN, Verisign $VRSN & Nu Dot Co? 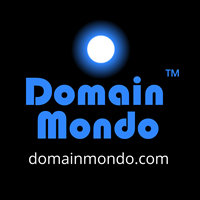 | DomainMondo.com: New gTLD .WEB Applicant (and second-highest bidder) Afilias (domain: afilias.info) Requests Update on ICANN’s Investigation of .WEB Contention Set, and Further, Requests Documents under ICANN’s Documentary Information Disclosure Policy. b. ICANN's FY19 Budget, Reserve Fund, Extortion Racket & Consumer Fraud--Read the Comments submitted on ICANN Draft FY19 Operating Plan and Budget and Five-Year Operating Plan Update | ICANN.org (Close Date 8 Mar 2018) and ICANN Reserve Fund: Proposed Replenishment Strategy | ICANN.org: (Close Date 25 Apr 2018 23:59 UTC). Editor's note: my comments are here (pdf) and here (pdf), and embedded below. Editor's note: re ICANN's "extortion racket" .BRAND new gTLDs -- see testimony of Dawn Grove (pdf), Corporate Counsel for Karsten Manufacturing (.PING), September 14, 2016 hearing before the US Senate Judiciary Committee, Subcommittee on Oversight, Agency Action, Federal Rights and Federal Courts. 21 February 2018 Letter from Mike Rodenbaugh of Rodenbaugh Law, to ICANN Board Chair Cherine Chalaby [Published 6 March 2018] re: Asia Green IT Systems’ applications to operate the .Islam and .halal new gTLDs. "We find it shocking that the FTI Consulting investigation has ignored these inconsistencies and incoherencies, in spite of ICANN’s responsibility as an organization to adhere to its nondiscriminatory commitments in carrying out CPE and to ensure that all community applicants are treated equally and fairly. We hope that the ICANN Board will achieve enough clarity to set aside the FTI reports when addressing the case of DOT.gay." e. Internet Root Name Servers: RSSAC FAQ | ICANN.org excerpt: 7. "In 2016 there was a large attack on Dyn. Could the same thing happen to all the root server Anycast instances?" Answer: "Yes, at least in theory. That is one of the reasons that the Root Server System (RSS) has many operators and many root server instances. The large number of Anycast instances increases the capacity of the RSS and certainly helps in attack situations." ....14. "Can DNSSEC protect us from fast flux and super fast flux attacks?" Answer: "No, not really. DNSSEC is designed to protect against data tampering, but not fast-flux attacks." f. ICANN Complaints Office Semi-Annual Report--ICANN.org: 07 Mar 2018 complaints-office-semi-annual-report-07mar18-en.pdf [317 KB]. a. Move Your Domain Day - Transfer Issues With GoDaddy | Namecheap.com: "... GoDaddy appears to be returning incomplete WHOIS information to Namecheap, delaying the transfer process. This is not the first time something like this has happened. First and foremost this practice is against ICANN rules and regulations. Secondly, we believe it violates “unfair competition” laws."..." b. Evidence of Decreasing Internet Entropy: The Lack of Redundancy in DNS Resolution by Major Websites and Services | Harvard Business School | hbs.edu: "Stabilizing the domain name resolution (DNS) infrastructure is critical to the operation of the internet. Single points of failure become more consequential as a larger proportion of the internet's biggest sites are managed by a small number of externally hosted DNS providers. Providers could encourage diversification by requiring domain owners to select a secondary DNS provider." China’s Internet Underground Fights for Its Life | Bloomberg.com: "The government wants to shut down private operators that offer access to Facebook, YouTube, and other services." New Foils for the Right: Google and Facebook | NYTimes.com: journalist Peter Schweizer plans to release a documentary on tech companies' role in filtering the news, casting them as censorious and oppressive. See also: Should Facebook, Google and Twitter Be Public Utilities? | blogspot.com . Privacy: Your Location Data Is Being Sold—Often Without Your Knowledge | WSJ.com: "Location-based ads are growing, which means the industry has more ways than ever to track you"
3. New gTLD .WEB: Afilias vs ICANN, Verisign $VRSN & Nu Dot Co?